Firm has been named Exclusive Leasing Agent for SoYo Tower on the Hudson in Yonkers, N.Y.
Howard E. Greenberg, president of Howard Properties Ltd. in White Plains, N.Y., has announced that his firm has been named Exclusive Leasing Agent for SoYo Tower on the Hudson in Yonkers, N.Y. SoYo is an acronym for South Yonkers, the closest part of the city to New York City. Among the amenities in the SoYo area are the Metro-North Station, the Riverwalk along the Hudson River waterfront, and numerous restaurants, bars and a craft beer brewery. 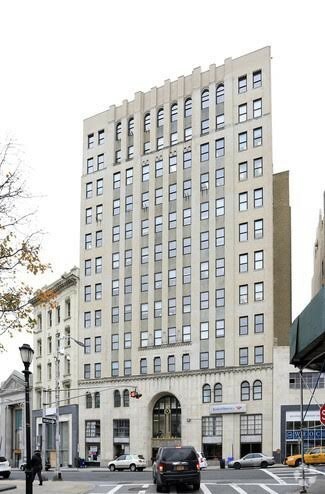 This classic Art Deco office building, dating to 1931, contains approximately 148,000 square feet of space, and is located in the center of the Yonkers Central Business District. 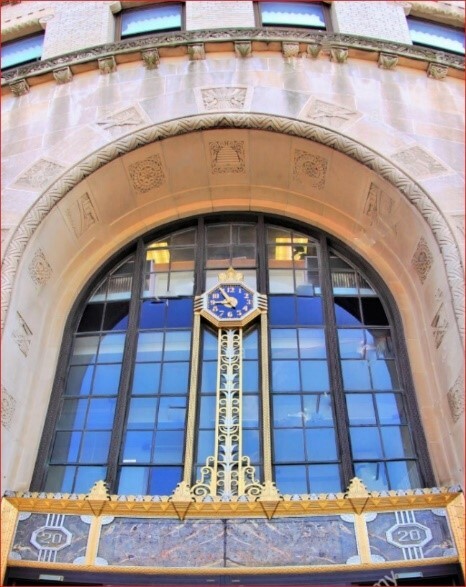 Designed by renowned Yonkers architect, William P. Katz, the one-of-a-kind lobby features Terrazzo flooring, marble wall finishes and elaborate ceiling tile work. Available spaces for lease are customizable and include exposed concrete slab high ceilings, oversized six-foot windows and river views. The City of Yonkers is in the midst of a renaissance, with more than $2 billion dollars in development in process, including more than 5,000 units of multi-family housing. It is the third largest city in New York state, and is becoming a true live-work-play city. The building was recently purchased by Chestnut Holdings, a substantial, hands-on owner/operator of multi-family, retail and office assets in New York City, Washington D.C. and other markets. The new owner’s intention is to restore the building to its former grandeur. Common areas will be updated to complement the loft-style office space that features open ceilings and oversized windows that take advantage of the beautiful views. Howard Properties is located at 3 Barker Ave, White Plains, NY 10601 and can be reached at (914) 997-0300 or howard@howprop.com. Established in 1998 by Howard Greenberg, Howard Properties (http://www.howprop.com) provides a full suite of commercial real estate services in multiple product types including office, flex, warehouse, industrial, data center and retail. Active as a real estate broker since 1986, Greenberg has extensive experience in Tenant Representation, Corporate Services, as well as Landlord Representation and Property Marketing. The firm has served clients including Ameritrade, AMICA Mutual Insurance Company, Fidelity National Title Insurance Company, Legal Aid Society of Westchester County, Peapod division of Stop & Shop, The Prudential Insurance Company of America and the Westchester County Bar Association. Greenberg is widely considered to be an expert in the Westchester County commercial real estate market and also conducts transactions throughout the U.S. and Europe. He has won numerous awards, including Broker of the Year and Creative Deal of the Year from Mack-Cali Realty Corporation. He has appeared on television on MSNBC, and has been featured in numerous publications, including the New York Times, Crain’s Small Business, Real Estate Weekly, The Real Deal, and Westchester County Business Journal. SoYo Tower at 20 South Broadway in Yonkers, N.Y. SoYo Tower at 20 South Broadway in Yonkers, N.Y.